Palisade Investment Partners (Palisade), a specialist manager of Australian unlisted infrastructure, has reached financial close on the acquisition of an interest in the Gold Coast University Hospital and Private Hospital Car Parks project (the Project). The interest in the Project was acquired from Investec Bank Plc (Investec) who will retain an interest. The Project holds a concession to operate the car parks servicing the Gold Coast University Hospital operated by the Gold Coast Hospital and Health Services (Queensland Health) and the Gold Coast Private Hospital operated by Healthscope Limited. 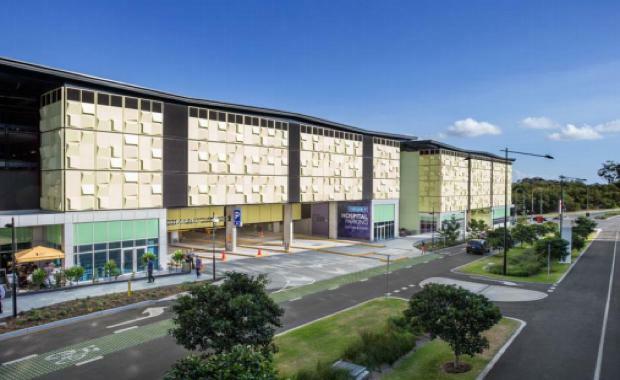 The hospitals are located within a new 200 hectare purpose-built Health and Knowledge Precinct in Southport, approximately 6.5km northwest of Surfers Paradise. The Public Hospital Car Park has 2,297 bays and commenced full operations in September 2013. The Private Hospital Car Park commenced operations in March 2016 and comprises 496 bays and will continue to be managed by Secure Parking. Investec Australia Limited (IAL) advised Investec on the sale process and prior to the acquisition by Palisade successfully refinanced the Project’s debt on competitive terms with National Australia Bank. Palisade Investment Director Vicki Rigg said, “Palisade focuses on acquiring mid-market assets that exhibit low levels of operating risk and stable cash flows. "The acquisition of the Gold Coast University Hospital and Private Hospital Car Parks will achieve this through a combination of captive demand, limited direct competition, known operating history and expansion opportunities. ""This investment provides additional diversity to our clients’ infrastructure portfolios,” she said. Palisade was advised by Grant Samuel. The acquisition of the Gold Coast University Hospital and Private Hospital Car Parks increases Palisade’s investment into the Gold Coast, which also includes their managed interest in the 13km Gold Coast Light Rail PPP project and their investment into the 7.3km expansion of the light rail, which is currently under construction.